The EuroMillions is a favourite under the Europeans. With Lottoland South Africa, South African residents (18+) can now bet on place a fixed bet. Europe’s biggest draw takes place in Paris on Tuesday & Friday at 9.00pm (Tuesday & Friday night at 8.00pm CET in Europe). Since 2004, millions of fans have played for a minimum payout of *€17 million that can build up to *€190 million, while regular Superdraws (which start off at a minimum of *€100 million) create the potential for huge rollovers. View the draw results on our EuroMillions Results page. Now you can enter multiple lines quick and easy with a Combo bet at Lottoland South Africa. Pick more than five main numbers or more than two Stars in any field and the playslip will automatically combine all the different possible lines. The more lines you have, the better your chances to win millions! * Winnings are calculated and credited in EUR. The exchange rate used is the spot rate of exchange (the closing midpoint) for that currency into EUR on the respective draw date as published on oanda.com or (if oanda.com is not available) the European Central Bank Euro foreign exchange reference rate published for the relevant date on the ECB website. This also applies for annuity payments. 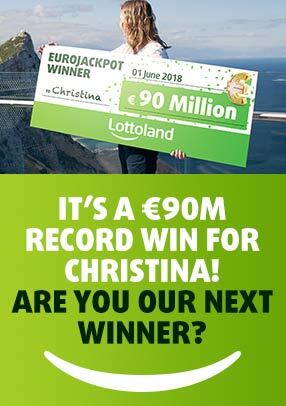 However, Lottoland may, in its sole discretion, chose to calculate and credit Winnings in the currency in which the Bet was placed.